With Clear Mountain Bank paperless eStatements, you can save time, save paper, and save trees. 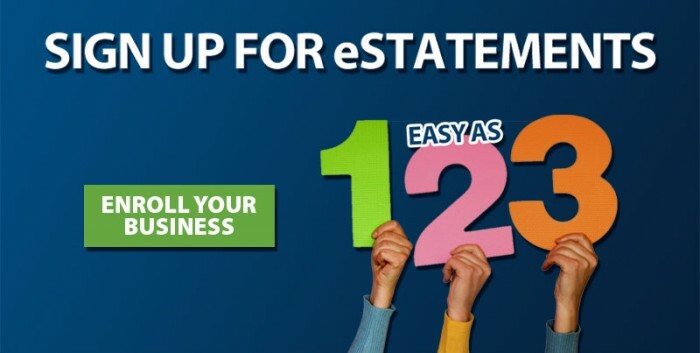 An eStatement gives you convenient and secure online access to your statement with no waiting. Your eStatement will look exactly like your paper statement. You can access, review, save or print it whenever you like. You’ll also have access to previous statements for easy record keeping. Convenient! You may view or print your eStatements any time you choose. Simple! You will receive an email when your eStatement is ready to view online. Fast! Your eStatement is available immediately – with no delays for mail time. Secure! Your eStatement will not be lost or stolen in the mail. Environmentally friendly! Reduce paper waste and save trees! FREE! There is no cost for eStatements. By accepting the “Clear Mountain Bank Electronic Statement (eStatement) Disclosure Agreement”, you consent and agree that Clear Mountain Bank may provide certain disclosures and notices to you in electronic form, in lieu of paper form, including electronic delivery of statements (eStatements) for your Clear Mountain Bank deposit account(s). As used in this Agreement, the words “we”, “our”, and “us” mean Clear Mountain Bank. “You” and “your” mean the account owner(s) authorized to receive eStatements under this Agreement. “Account” or “accounts” mean your deposit accounts at Clear Mountain Bank. “Business days” mean Monday through Friday, excluding Federal holidays. Your consent to receive eStatements covers the periodic statements you are provided in connection with your Clear Mountain Bank deposit account(s). Your consent also covers disclosures that are required with your account statements, including, but not limited to, the error resolution notice required by the Electronic Fund Transfer Act, as well as marketing information on products and/or promotions that Clear Mountain Bank may provide to you electronically. By using eStatements, you accept and agree to be bound by the general terms and conditions governing eStatements, including, without limitation, all the terms and conditions in this Agreement. You agree to be bound by any and all laws, rules, regulations and official issuances applicable to eStatements now existing or which may hereafter be enacted, issued or enforced, as well as such other terms and conditions governing the use of other facilities, benefits or services that Clear Mountain Bank may from time to time make available to you in connection with eStatements. Clear Mountain Bank has absolute discretion to make eStatements available to you. Further, Clear Mountain Bank has the discretion from time to time and upon giving notice to you to modify, restrict, withdraw, cancel, suspend or discontinue eStatements without giving any reason. You understand that by using eStatements after any modification or change has been affected, you would have agreed to such modification or change. Once you receive your first eStatement, Clear Mountain Bank will discontinue mailing paper account statements for your eStatement account. All future statements for that account will be eStatements which you will access through Clear Mountain Bank’s Online Banking service to obtain, review, print, and copy/download your periodic deposit account statements. Each month we will send an e-mail notice to you advising you of the availability of your eStatement with instructions on how to access your eStatement. You may then access your eStatement via the procedures that we authorize. Your electronic statement will be available for viewing for a period of twelve (12) months (or such period as decided by Clear Mountain Bank and notified to you) from the applicable statement date. Your consent to receive electronic notices covers any notice or other type of communication provided to you pursuant to the terms of this Agreement. We will send all notices, attachments, and/or documents via e-mail to the last known e-mail address provided by you. You agree to notify us promptly of any change of your e-mail address. 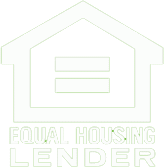 You must enroll each of your deposit account(s) for which you want to access eStatements. To enroll your account(s) for eStatement access, simply sign up online or complete the eStatement paper enrollment form and return to Clear Mountain Bank. In order to access your eStatements, you must log in to Clear Mountain Bank’s Online Banking service, go to your account, then: 1) Click on the “Documents” tab, 2) Under the Documents tab choose “Checking Account Statements”, 3) Then select the statement date that you wish to view. Your eStatement will be viewable as an Adobe® PDF file. You can request to receive paper statements in addition to your eStatements for a monthly fee by emailing us at help@clearmountainbank.com. Should you wish to cancel your request to receive paper statements in addition to eStatements for a particular account, please email us at help@clearmountainbank.com. You can request a paper copy of your account statement by calling your local Clear Mountain Bank branch. A nominal fee per statement copy may be assessed to your account. You must promptly access/review your eStatement and any accompanying items and notify us in writing immediately of any error, unauthorized transaction, or any other irregularity. If you allow someone else to access your statement, you remain fully responsible to review the statement for any errors, unauthorized transactions, or any other irregularities. Any applicable time periods within which you must notify us of any errors on your account statement(s) shall begin on the eStatement e-mail notification date regardless of when you access and/or review your eStatement. If you do not immediately report to Clear Mountain Bank any non-receipt of eStatements or any error, irregularity, discrepancies, claims or unauthorized debits or items, you shall be deemed conclusively to have accepted all matters contained in the eStatements to be true, accurate and correct in all respects. You must provide us with a valid e-mail address in order to use the eStatement service. You agree to notify us immediately of any change in your mailing address, e-mail address or other particulars relevant to this Agreement. To notify us of your e-mail address change, please log in to Clear Mountain Bank’s Online Banking service or call us at (304) 379-2265. If your Clear Mountain Bank account is owned jointly with another person, either one of you may consent to receive electronic disclosures and eStatements and that person’s election to access eStatements shall apply to both of you. Clear Mountain Bank will automatically turn off the paper statement for that account once the first eStatement has been made available unless you request to continue to receive your paper statements in addition to your eStatements (please refer to ‘Requesting to Receive or Cancel Paper Statements in Addition to eStatements’). You agree that Clear Mountain Bank shall not be held liable if you are unable to gain access to the website or Clear Mountain Bank system from time to time. You understand that some or all of the eStatement services and/or other Clear Mountain Bank system services may not be available at certain times due to maintenance and/or computer, communication, electrical or network failure or any other causes beyond Clear Mountain Bank’s control. You understand the importance of your role in preventing misuse of your accounts, and you agree to promptly examine your eStatement for each of your Clear Mountain Bank accounts as soon as you can access it. You agree to protect the confidentiality of your account and account number and your personal identification information. You understand that personal identification information by itself or together with information related to your account, may allow unauthorized access to your account. You acknowledge that the internet is inherently insecure and that all data transfers, including electronic mail, occur openly on the internet and potentially can be monitored and read by others. We cannot and do not warrant that all data transfers utilizing the internet, or e-mail transmitted to and from us, will not be monitored or read by others. In order to help protect your personal information, we recommend that you install Firewalls, anti-virus, and spyware protection software (and update as required) on your computer. We also recommend that you update your operating system and browser application on a periodic basis to better protect your computer and online banking sessions. Clear Mountain Bank does not warrant the security or confidentiality of any information transmitted through any applicable Internet service provider, information/communication network service provider, network system or such other equivalent system in any jurisdiction via eStatements. You agree that you shall not disassemble, decompile, copy, modify or reverse engineer any Clear Mountain Bank proprietary software or allow anyone else to do so. Your Access ID and password that are used to access Clear Mountain Bank’s Online Banking services should be kept confidential. We strongly recommend that you change your password regularly. You are responsible for keeping your password, account numbers and other account data confidential. In order for you to access and retain your eStatement records, your system must have a personal computer that has Internet access and an Internet browser that supports 128-bit encryption. If your browser does not support 128-bit encryption, you must upgrade it in order to access the Clear Mountain Bank Online Banking services secure pages to gain access to your eStatements. To print or download disclosures and eStatements you must have a printer connected to your PC or sufficient hard-drive space to save the disclosure or eStatements. To open and view an online statement or any other document sent by the Bank, your computer system must be equipped with Adobe® Reader® software. You may download Adobe® Reader® for free at www.adobe.com. The Bank reserves the right to change the terms and conditions of this agreement (including fee schedule) at any time, which includes the addition and deletion of eStatement services. We shall update this agreement on our website and may notify you of such changes by mail or electronic message to your most recent address listed on our records. The notice will be posted or sent at least thirty (30) days in advance of the effective date of any additional fees or of any stricter limits on the type, amount or frequency of transactions or any increase in your responsibility for unauthorized transactions, unless an immediate change is necessary to maintain the security of the system. If such a change is made and it can be disclosed without jeopardizing the security of the system, we will provide you with electronic or written notice within thirty (30) days after the change. By using the eStatement service when the changes become effective, you agree to be bound by the revised terms and conditions contained in this agreement or you can decline the changes by discontinuing the use of the eStatement service and notifying us of your election by e-mail or regular mail. The Bank reserves its right to terminate this Electronic Statement Disclosure Agreement and your access to the eStatement service, in whole or in part, at any time, including but not limited to when customers have not logged in to use Clear Mountain Bank’s Online Banking services for over 180 days. You have the right to withdraw your consent to have your statements provided in an electronic form by contacting us at help@clearmountainbank.com or calling us at (304) 379-2265. You may also write us at P.O. Box 205, Bruceton Mills, WV 26525. We will then discontinue eStatement service for that account and you will receive paper statements for subsequent statement periods. There is no fee to discontinue your eStatement service and to revert to receiving paper statements for your account(s), however, a paper statement fee may apply if you elect to receive paper statements for your account. You can use e-mail to communicate with Clear Mountain Bank by clicking on the Contact Us link on our website at www.clearmountainbank.com. However, e-mail is not available to initiate transactions on your accounts. Since we may not receive it immediately, you should not rely on e-mail if you need to communicate with us right away (e.g., to report an unauthorized transaction). If you need to contact us immediately, you can call us at (304) 379-2265, Monday through Friday from 7 am to 7 pm and Saturdays from 8 am to 3 pm, Eastern Standard Time. This Agreement is in addition to the terms and conditions described in the “Clear Mountain Bank Online Banking Service Agreement”, the Business Account Agreement and Disclosures; corresponding fee schedules; or any other documentation which relates to your account(s), collectively referred to as the “Master Agreement”, that were given to you at account opening. To the extent that this Agreement is inconsistent with any of the terms and conditions contained in the Master Agreement, the terms and conditions of this Agreement shall control with respect to eStatements. You should review those agreements for any applicable fees, for limitations on the number of transactions you can make and for other restrictions that might impact your use of an account with eStatements and Online Banking. If you need another copy of a disclosure, please contact us via our website at www.clearmountainbank.com or call our Customer Service Representatives at (304) 379-2265 Monday through Friday from 7 am to 7 pm and Saturdays from 8 am to 3 pm, Eastern Standard Time or write to our Customer Service Center at P.O. Box 205, Bruceton Mills, WV 26525. You agree that we can terminate the eStatement service and revert to printed statements for any reason at any time.